The phone is one of the most important communication tools for frontline primary care. With the GP Forward View urging practices to act as the bedrock for the transformation of NHS care, the pressure is on to do more with less. Providing GPs and patients with more efficient ways of communicating is vital if this ambition is to be realised, argues Paul Bensley of X-on. For many people, the telephone number of their GP surgery is the first point of call with the NHS. According to The King’s Fund, between 2010-11 and 2014-15, telephone contacts with general practice increased by 62.6%, compared to an increase of 13.3% in face-to-face consultations over the same period. The phone is one of the most important communication tools for frontline primary care. With more widespread use of telephone triage, and increasing numbers of mergers and federations, there are huge demands on GP phone systems, and on the practice managers and business managers that rely on them. Many clinical commissioning groups are using investment from NHS England’s Estates and Technology Transformation Fund to upgrade GP telephony to cope. It is important that projects make the most of this investment, and to help them do this we have outlined some of our experiences from working with practices that have wanted to make the most of GP telephony. The clamour for appointments can overwhelm staff, and this can be addressed through smart call handling. 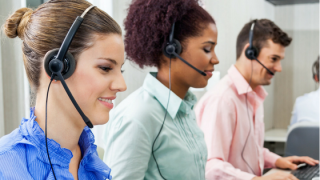 This should involve calls being answered promptly in dedicated call centres that support single or multiple sites. Such smart phone systems should support services such as telephone triage that, when done well, can help reduce the pressure on a practice. They should also allow clinicians to manage the appointments that need to be made via their phone. Call recording is an important feature to support this; but the patient information provided needs to be held securely in UK data centres, and demonstrate compliance with stringent security procedures and protocols. Information should be readily accessible if other systems fail to ensure continuity of care. Telephone systems should integrate with the clinical record, so that call recordings are accessible within a single click from the clinical system. This gives a better picture of the patient; and reduces the time required to make detailed notes. Additional features should support activities such as preventative healthcare, for example by sending out reminders to patients for their flu jabs, as well as enhanced communications between GPs and hospital consultants, so that a doctor can access specialist knowledge quickly. NHS England’s GP Forward View identified several high impact areas that, if they were addressed, would significantly increase capacity in general practice. We think that taking the right approach to GP telephony can help to realise many of these. Enhanced GP telephony can support services such as telephone triage that help cope with demand. It can provide rapid access to secure patient data at any time and from any location, to support more efficient clinical workflow. And it can make appointment setting easier, helping to reduce DNAs and other missed appointments by confirming attendance and sending reminders. Done properly, using smarter telephone systems can allow practice and business managers better match capacity to demand, enrich the experience for both clinicians and patients, and act as the foundation to achieve the ambitions of the GP Forward View. However, in order to realise this potential, it is important to pick a system that delivers as many benefits as possible. Choose wisely to ensure the best possible return on your investment. Surgery Connect is a cloud-based telephone solution that features – uniquely through one system – services such as telephone triage, appointment reminders, and call recording on a platform that is already helping GP surgeries across the country save time and money. Now the service is available directly through the EMIS Health clinical system that is used in 55% of the UK primary care market. This means that GP surgeries can have rapid access to services that increase their efficiency and address wider ambitions such as the GP Forward View in England, which has identified several high impact areas where practices can release time to care. One such area is with new forms of GP appointments, such as telephone triage and consultation. These are believed to help address the access issues that have seen a significant fall in the number of people finding it easy to get through to their surgery, from 79% in 2012 and 68% in 2017, according to the latest GP Patient Survey. Surgery Connect features Triage Assist, an outbound patient triage system that allows triage calls to be processed methodically and in a structured manner. This helps GPs deliver such a service more quickly and with direct access to patient information. Recording Tracker, another feature of the system, provides secure, permission-controlled access to full call recording logs, linked to individual patient records from within the EMIS system. This means that doctors can have a greater understanding of what the patient has discussed with the surgery previously. The system also provides a platform for future time-saving innovations, such as telephone consultations. According to NHS England, 60 to 70% of consultations can be handled entirely on the phone, in an average of 4-6 minutes. This could deliver a 50% improvement in GP productivity, and – with phone recording and rapid access to the patient record – Surgery Connect has the toolset to enable this to happen. Clinical research and innovation is also possible, by capturing voice data for future analysis in a secure, cloud-based service. Subject to the necessary consents, voice data can potentially be used as part of medical research to improve clinical practice. Surgery Connect also delivers benefits to practice managers and reception staff, by helping reduce ‘do not attend’ (DNA) appointments, and by providing an active signposting service for patients. Cutting DNAs is a high impact area of the GP Forward View, with GP leaders estimating that over 10 million appointments are lost each year across England because patients do not attend. With this new system GP surgery staff can now use the confirm and remind service direct from the patient record, with appointments registered against the patient record and reminders sent out via SMS. Patients themselves can also book, manage and cancel appointments over the phone using speech recognition, which can also help reduce practice workload as well as cut the number of DNAs. And reception staff can also fulfil another high impact action of the GP Forward View by signposting patients to other healthcare services or by providing information such appointment details, through easy and immediate access to the patient record based on the telephone number and confirmed identity of the caller.